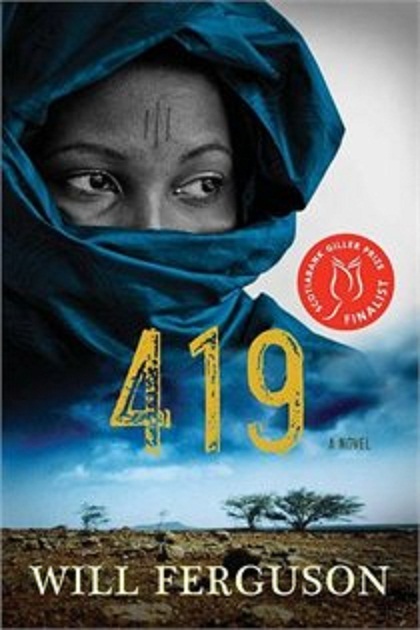 This entry was posted on October 30, 2012 at 10:18 pm and is filed under 2012 Giller Prize. You can follow any responses to this entry through the RSS 2.0 feed. You can skip to the end and leave a response. Pinging is currently not allowed. Yes! So glad to see Ferguson recognized. I enjoyed his acceptance speech and quite enjoyed the broadcast as a whole. The simple idea of literature claiming the primetime broadcast slot endlessly appeals! I also thought the broadcast had more positives than negatives. In particular, I thought whoever wrote the introductory pieces for the presenters had not only read the books, but had a very good understanding of them. And the interviews with the five authors were very well produced and did a good job of introducing us to their thinking. And kudos to the CBC for devoting a primetime hour — neither the Booker not the Pulitzer get near that exposure in the UK or US. I haven’t posted muuch here during award season. I’ve still followed the site quite a bit. The Giller and booker lists just didn’t inspire me this year. I couldn’t generate much enthusiasm. As a result, I’ve almost finished 419 and from Booker just read The Yips and Bring Up The Bodies. I agree very much with the 419 review. It’s not bad. I’m enjoying it but found the 419 scam part better than the internal Nigerian piece. I haven’t gotten to the end so it hasn’t quite come together for me. I’m pretty sure I like it less than The Antagonist, The Cat’s Table, Half Blood Blues, The Sisters Brothers, The Free World and Touch from last year. For Booker, I agree with your review on The Yips. she has so much promise but seems to derail at some point. I liked Bring Up The Bodies far more than I expected to, I thought it was much better than Wolf. The story was more crisp and Mantel seems to have adjusted her style to be a little less muddy. Ric: I wasn’t surprised that we didn’t get many comments from you — knowing what I do of your tastes, there did not seem to be much on either the Giller or Booker list that would excite you. For Canada, I don’t hold the jury responsible for that — I read quite a number of books that didn’t make the longlist and can’t fault the jury for leaving them off. There were a number of Booker eligibles that did not show up that I quite liked (Warner, Amis, Lanchester for a start) but I have to acknowledge this year’s jury did show broader tastes than last year’s — so I’d just have to say I had different tastes. I too am looking forward to a more interesting year from both prizes next year.